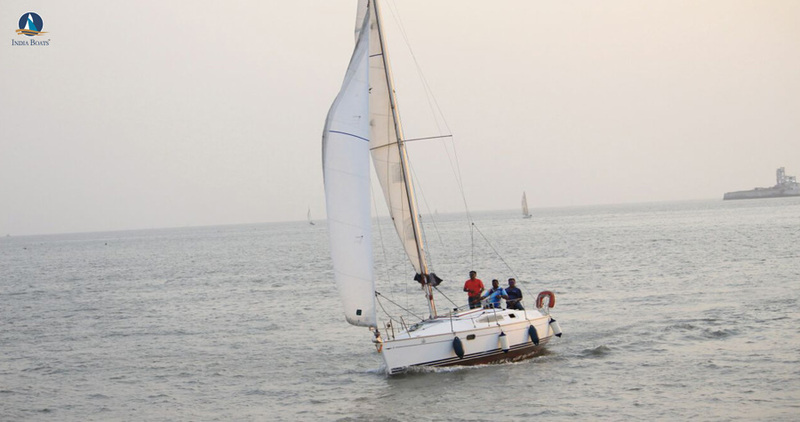 The Sleek and Stylish (Jeneau 29) Yacht, offers a blissful sailing experience regardless of the weather conditions. 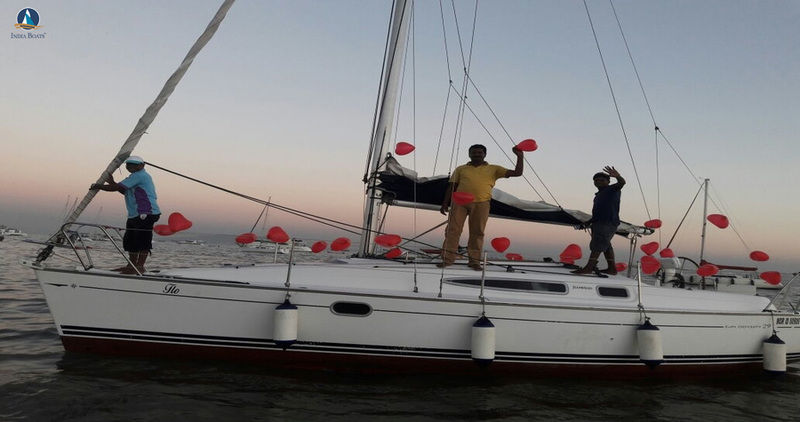 It is a performance cruiser, with an emphasis on stylish,hassle- free and comfortable sailing with a group of people, or even a special evening for a couple. 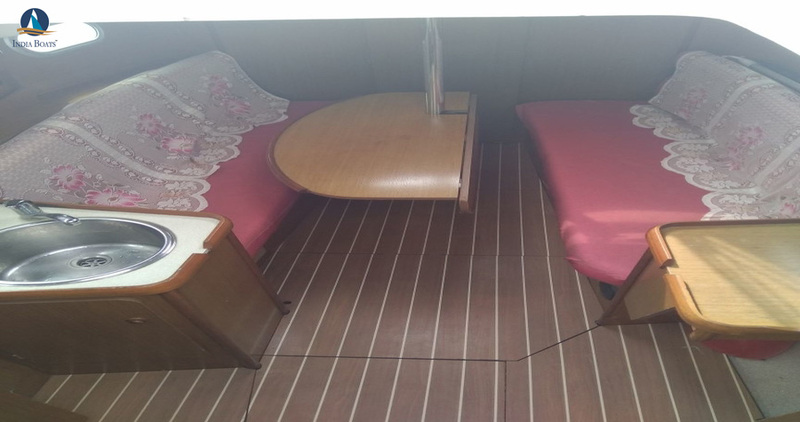 The cockpit is well designed,It has 2 bedrooms a single portable washroom,sofa sitting for atleast 6 people inside the living area with a fan. The yacht has crokery, cutlery, glasses and an ice box for cooling of the beverages. 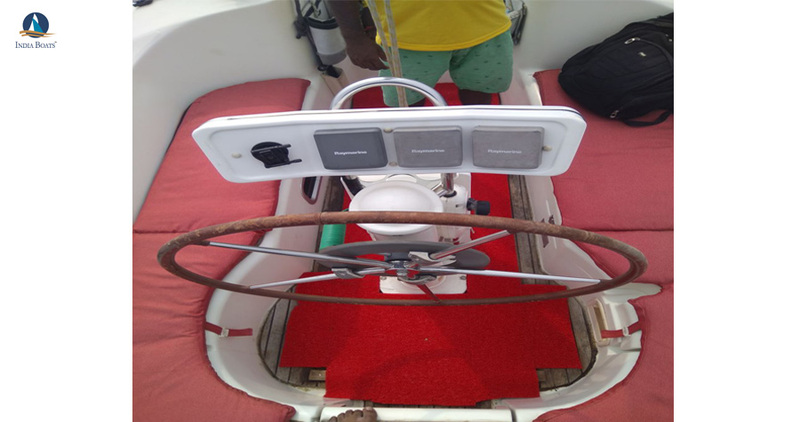 The music system inside can be used while sailing the yacht, it also has an aux wire or bluetooth facility available where one can connect other devices. 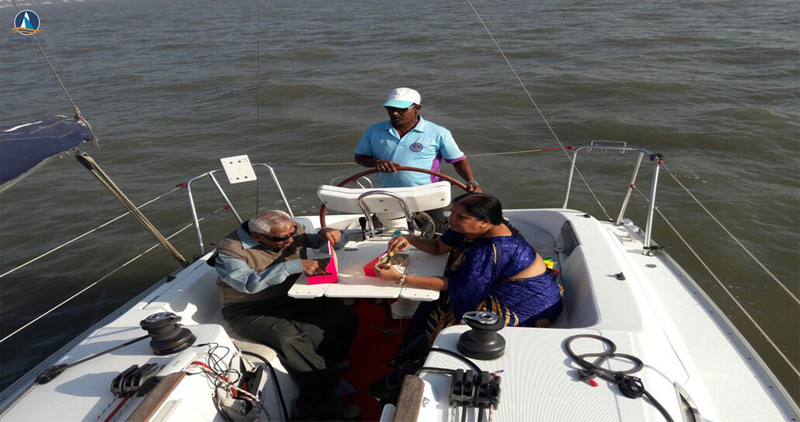 Mobile charging can also be done on the yacht. 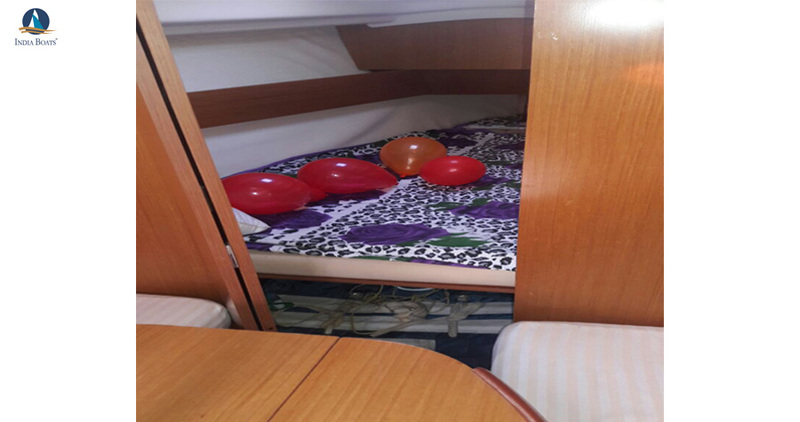 The outer deck is spacious for sitting capacity of 8 people scattered all over the yacht, on the deck area or the bow. 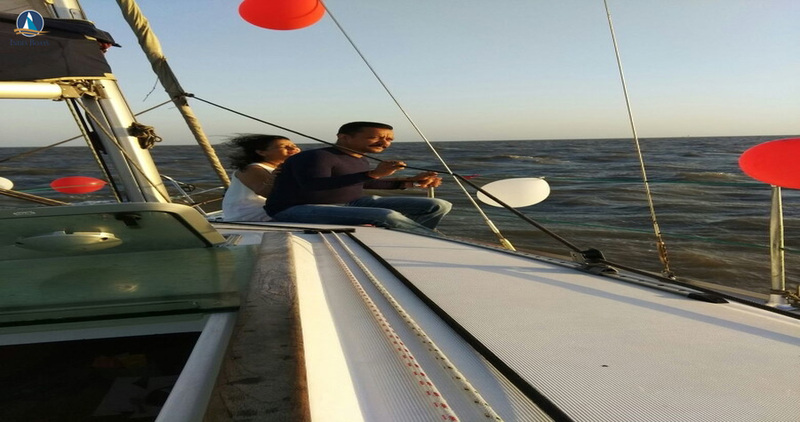 It is a Non – Ac sailing yacht, mostly adviced for very comfortable for a gettogether with family,friends or for a romantic date with your loved One!! 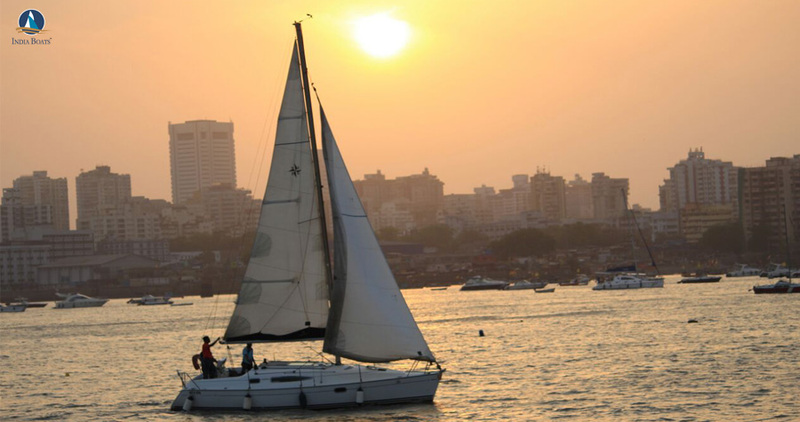 One can sail along the entire of Mumbai harbour in the duration and the cost mentioned above. 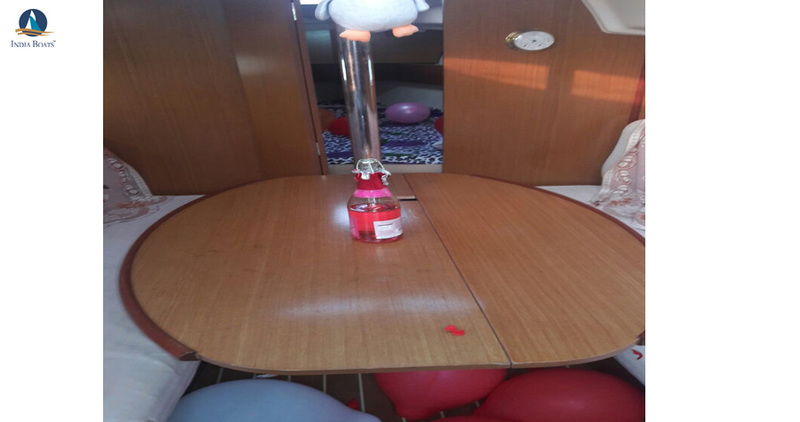 Simple balloon decoration is possible at an extra cost. First-aid box is available on board. All guest on the yacht need carry a photo Id proof . 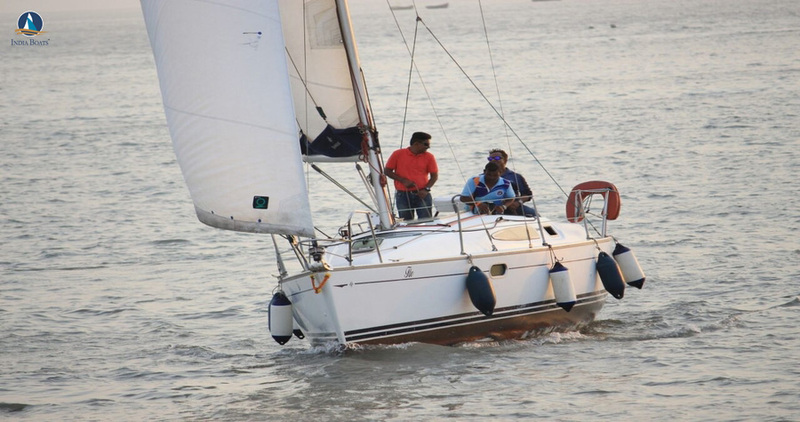 Comfortable clothes and footware ( avoid heals) is advisable on the yachts to avoid any accidents or damanges . Kindly request the crew for life jackets before sailing. The above price is inclusive of the transfers from the jetty( gateway) to the yacht and the return journey.